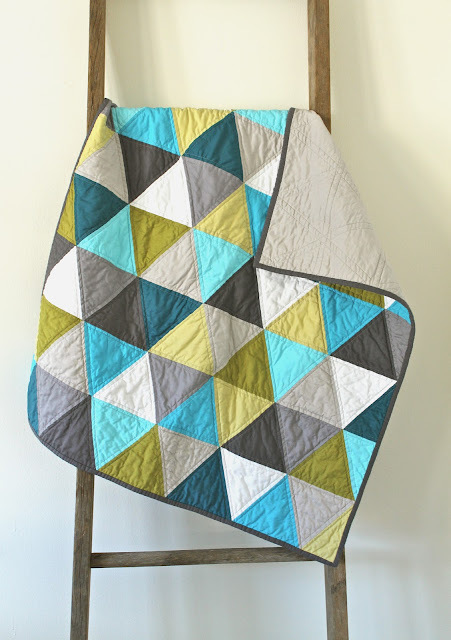 craftyblossom: aqua and olive :: a pyramids baby quilt. 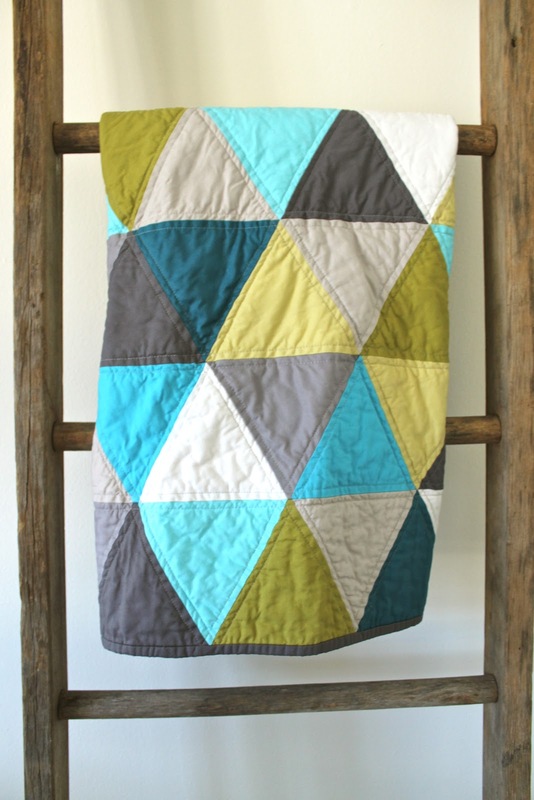 aqua and olive :: a pyramids baby quilt. You're looking at my first equilateral triangle quilt. I love the colors and composition, the one thing I don't love is sewing so many seams on the bias. I will likely make another, but hope there are fewer swear words involved on the next. I had a little difficulty with some of the seam intersections because of the direction I sewed and pressed in my first few rows. I was obviously not thinking. It probably wouldn't have hurt to read a tutorial on this but I just went with it. I didn't take it apart and do it over, but definitely learned my lesson, I think. beautiful colors and layout! thank you for posting this. Love this! I really need to try one! So I am about to embark on a quilt like this for the first time. What was it about the ironing that made a difference? Save me some swear words! Very lovely, I just assumed that the wrinkles were the effect of washing and drying - it looks great! No need to iron a quilt, they're supposed to be crinkly :-) And you're braver than me! I have yet to tackle any sort of triangle quilt... they scare me for some reason. Its really gorgeous though, love those colors! I love it - and would never try triangles my self; so I'm impressed with your courage. Love this quilt! Would you mind sharing what dimensions you ended up using? I'd love to make one for my sweet girl! it's beautiful!! i love the way you use color!! these colors are just beautiful! I love this, and I'm with LeeAnn: Can you share what you learned? Or did you find a tutorial that addressed your problems? I have not attempted this yet. P.S. Your color sense is just amazing. This one is fantastic. GREAT COLORS. I just finished a full sized top using eq. triangles and I completely know what you mean about pressing. And yet, I didn't really figure out a good way to do it. Boo. 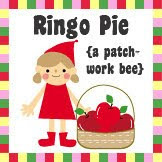 This is a lovely quilt! The colors are perfection! Lately I've been coming across beautiful quilts on Pinterest and I just realized that all of the ones that I find so striking are yours. Your colour sense is wonderful and so are your quilts! Loving your quilt. Just finished my first triangle quilt and published a free pattern on my site. Where did you purchase this fabric? Do you know the color names? I love this quilt and your colors. I wish you would share your pattern, would like very much to make this for my great grand daughter. Please let me know soon.